What Is The Two-Dismissal Rule? In an effort to prevent multiple or repeat filings, Florida instituted what it calls the “two dismissal rule” for workers’ compensation petitions after a case in 2009. While this may seem confusing, it in reality a way to ensure that workers do not try to file multiple times for the same injury – but it can also cause real problems for workers who make one mistake, or miss one deadline. If you suspect you may have fallen victim to this rule, or that you are in danger of doing so, it is a good idea to take steps as soon as possible. If you are injured on the job and apply for workers’ compensation, you may receive a denial via the normal process, and if so, you may appeal by filing a Petition of Benefits with the Office of the Judges of Compensation Claims (OJCC) within two years of your injury – not within two years of your filing. The matter will first go to mediation, and then to a final hearing if you cannot reach an agreement with your employer and its insurance carrier. The OJCC’s ruling is generally final unless you want to take the matter to the appeals court. Sometimes, however, there is a need to file more than one petition on the same claim, most often due to voluntary dismissal by the plaintiff. Florida’s “two-dismissal rule” holds that a second voluntary dismissal will operate as a denial of adjudication “of any claim for benefits previously subject to voluntary dismissal.” In other words, if your claim is dismissed twice, that specific claim is forever barred from being brought again. The reason that a second dismissal results in your claim being barred is due to a common-law legal principle called res judicata, which is Latin for “a thing adjudged.” If a claim is barred due to res judicata, it means that the substance of the claim is already considered to have been litigated, and there is nothing more for a court to do with the matter. To litigate the matter twice would be giving the moving side an unfair second chance. Despite this, it is important to keep in mind that to be subject to res judicata, a claim must be identical in all respects, not merely substantially similar. The case of Moreno v. Palm Beach County School Board (2014) is instructive – the plaintiff filed multiple claims stemming from the same accident, but they were all different in scope. Because the types of claims differed, even though they were filed regarding the same accident and injury, the First District Court of Appeals held that Mr. Moreno’s claim should not have been barred. 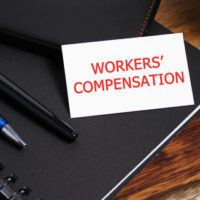 It can sometimes feel like the workers’ compensation process is designed to flummox and confuse employees who just want what their employers must provide. If you have been in an accident on the job and are dealing with the ‘two-dismissal’ rule, the skilled Winter Park workers’ compensation attorneys at the Hornsby Law Group can help answer your questions and suggest how best to proceed from here. Contact us today to set up an initial appointment.